Good day furiends. 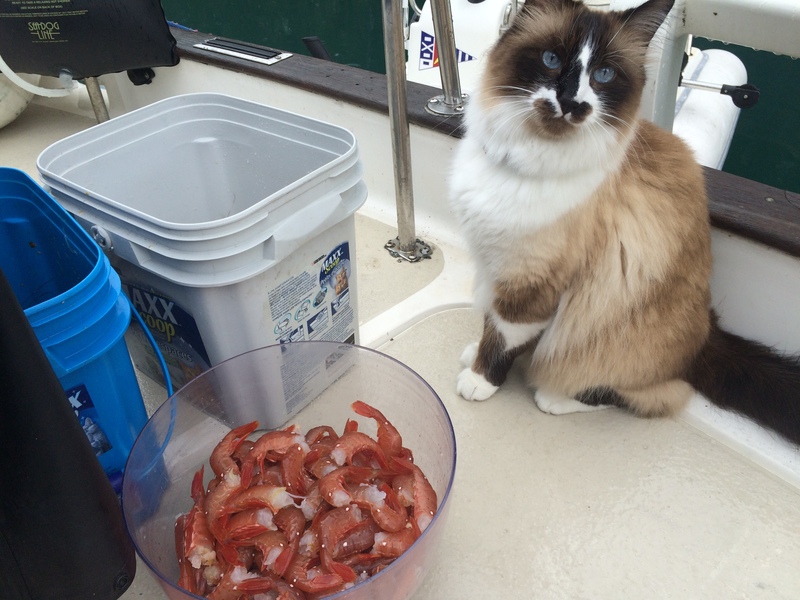 My humans finally caught me some prawns. Meowee, they are just delish when they are so fresh and raw. Cooked ones are purrty good too. That’s how the humans eat them. I’m starting to learn that I can purrform my tricks without being asked and it’s working well to get treats. 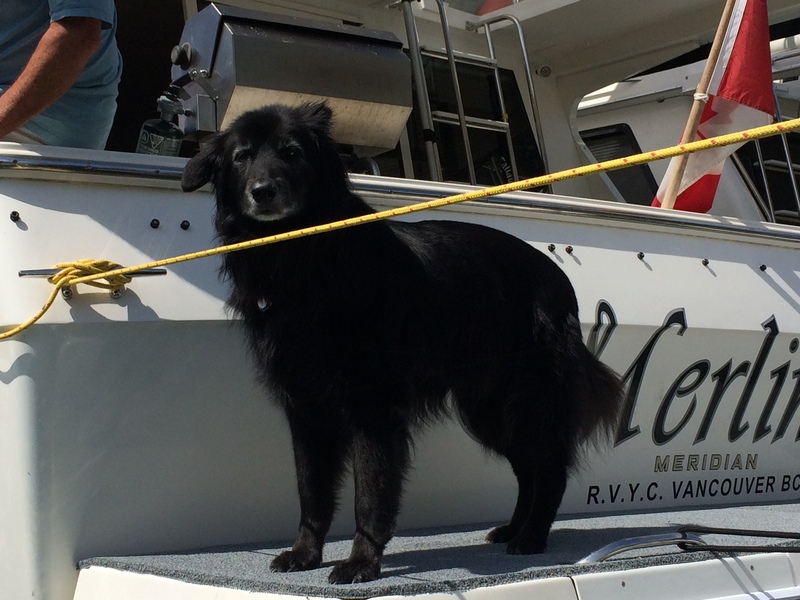 My humans use 4 baited traps on long lines attached to buoys that are lowered about 400 feet into the water. 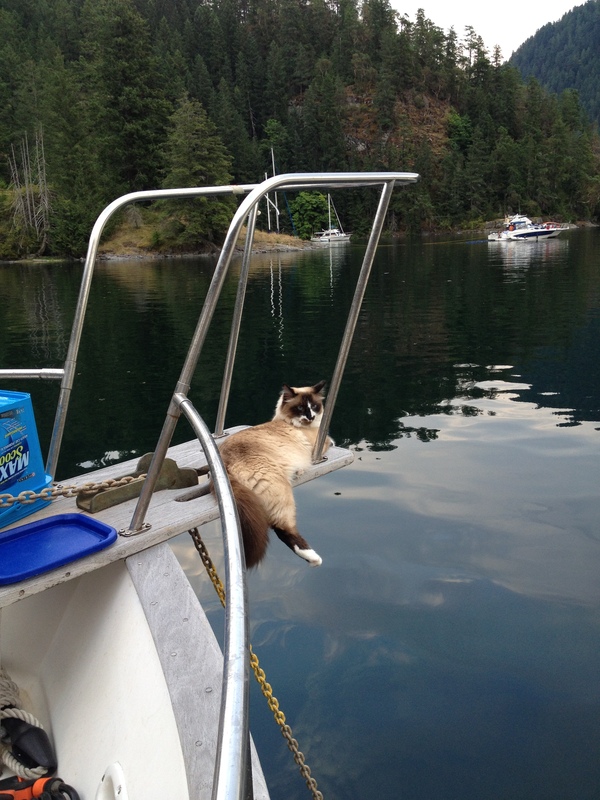 Meowee, that’s a long ways down. Thank goodness they have an electric puller to bring them back up to the surface otherwise it would be really hard on their arms and they might not want to try prawn catching as often. That would be bad. This evening was the dinghy concert. 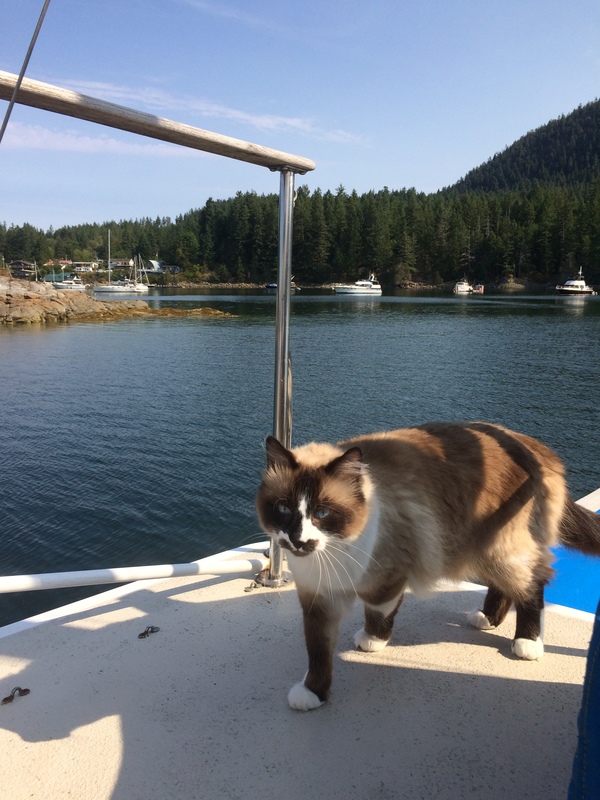 An American country singer named Robin Landry, and her band the Chicksie Dixs, flew into Prideaux Haven and purrformed for a couple hours on the swim deck at the stern of a huge 80 foot boat called Pres du Soleil. 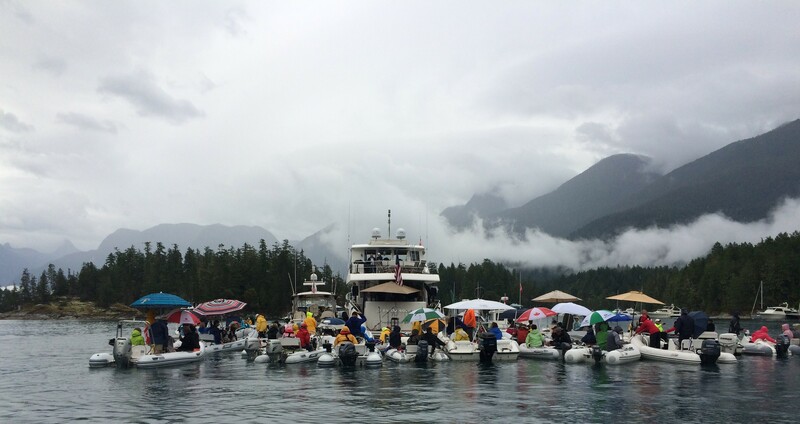 A sea of dinghies all raft together behind the boat with all the humans eating, drinking and generally being silly. It’s getting bigger every year. 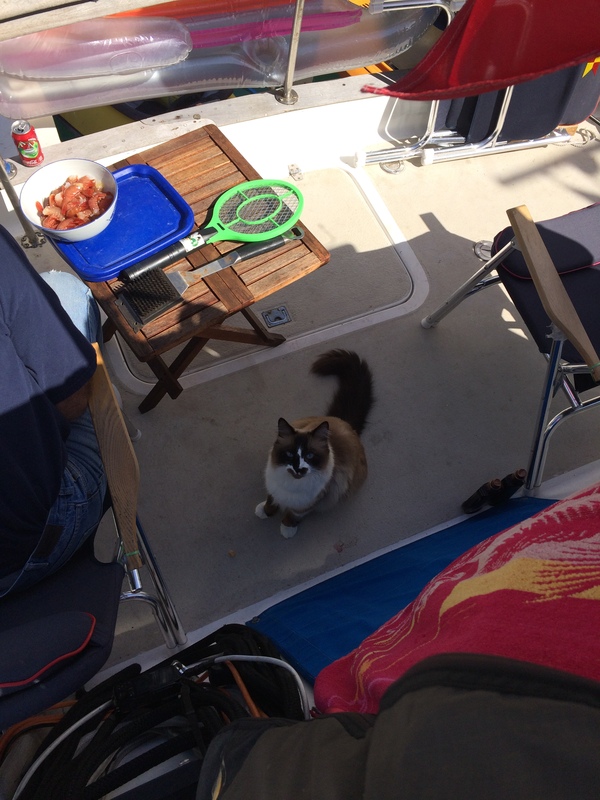 Again I stayed behind and boat sat while all the humans left to go to it. It was the 5th annual concert, and my humans have attended 3 of them now. Two years ago it was the rain concert, last year the sun concert, and this year the smoke concert. What will next year’s be weather-wise I wonder. If you like seafood and music, what kind do you like? Paw paw for now. I can just sit and smell the sea air all day. It smells so good. Yesterday human dad set out the prawn traps, and then got up super early this morning to bring them back. Meowee, a generous haul of about 150…I can almost smell them cooking now. Some we cook, but most we freeze. We have the luxury of being able to have a second freezer on board to preserve our catch to share with family & friends during the coming year. 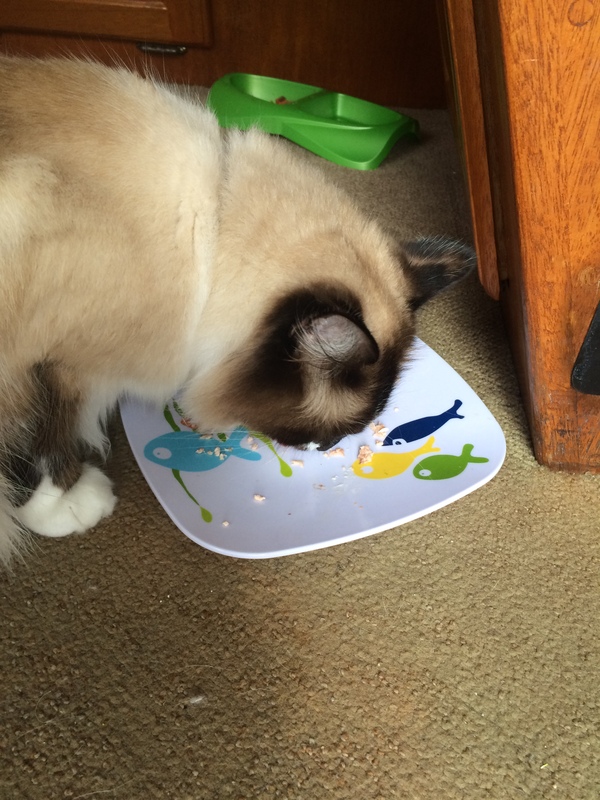 Mom got me a little plate with fishies on it that I eat my share of the catch from…cute isn’t it! Fur some reason, everything tastes better when you eat from plates with little fishies on them. Do any of you have dishes with sea creatures on them? Tonight is a special night because it’s the dinghy concert. An American boat named Pres du Soleil, an 80 ft Ocean Alexander, anchors in Prideaux Haven and the owner flies in a singer named Robin Landry and her band the Chicksie Dicks. It’s true, I’m not making it up. They setup the sound system on the back deck and invite everyone in the anchorage to come by dinghy or kayak or whatever, and listen to the music. This will be the 3rd annual event they’ve put on and it’s also a fund raiser for their ROTC by way of CD sales. I didn’t get to go which was fine with me because we would be tied to many other dinghies and it might be a little scary for me with so many strangers around. Even though it poured rain, my humans kept dry under a big patio umbrella human dad rigged up on the dinghy. Unfortunately later that night, a huge wind storm came out of nowhere and blew the umbrella away. 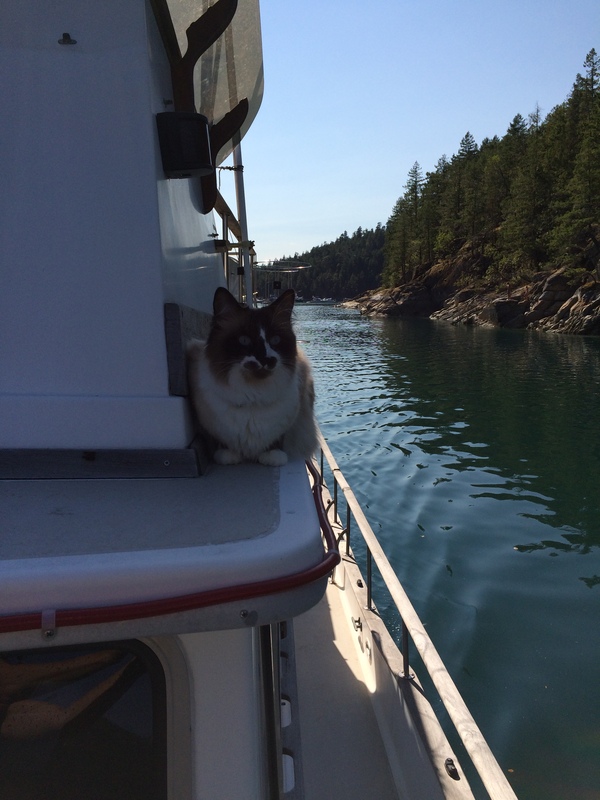 August 3rd is our Provincial statutory holiday “BC Day” and we’re sitting pretty in Prideaux Haven aka paradise. Another hot hot day and the humans spent most of the day floating around in the water. One of them brought this huge inflatable island so they could all float together. Silly human fun. Did you know that there is a comet that passes by Earth every year between July 17 and August 24 called Swift-Tuttle? 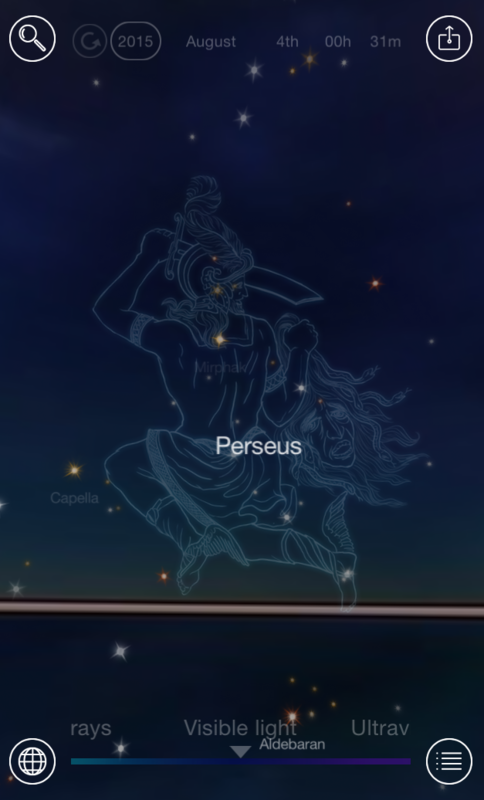 And with it, it brings a debris field called the Perseids that passes through and burns up in the Earths atmosphere. The shower tends to peak around August 9-13 and one could see 60 to a 100 shooting stars in an hour from a dark place. 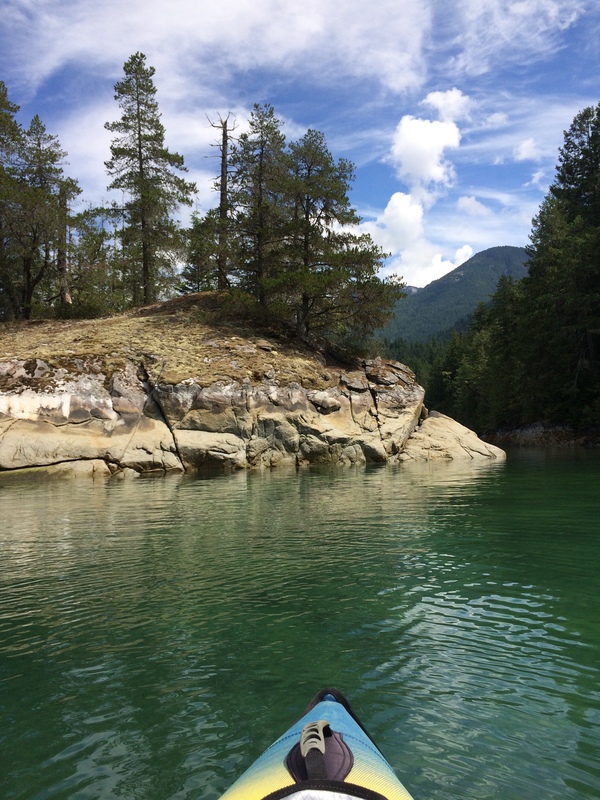 Off we went further north to Prideaux Haven, in Desolation Sound, about a 7 hour cruise. I managed much better this time but mostly slept through it, staying inside out of the heat and brightness of the blazing sun ball. The seas were a bit rough but not as bad as the first day. We rafted up with 6 other vessels in a anchorage named Melanie Cove. 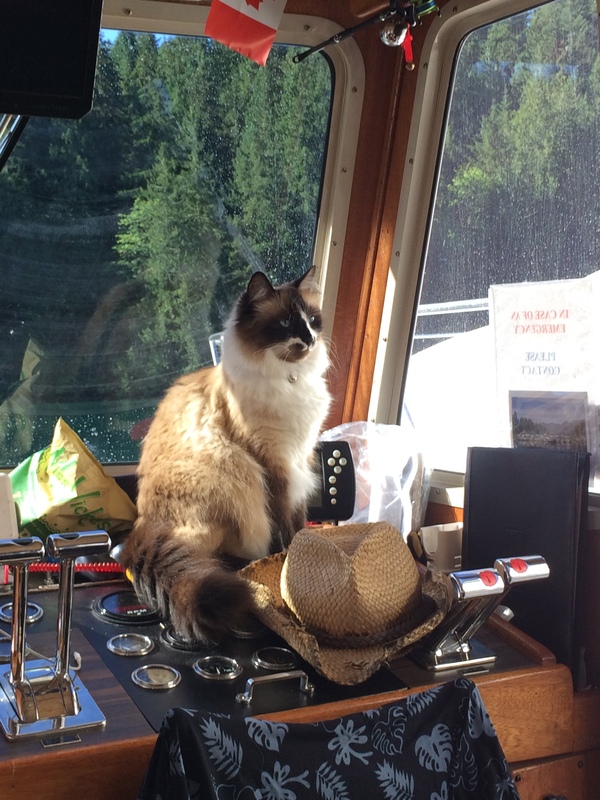 I was surprised to find out that there was another kitty on the motor vessel named Saranade tied to our starboard side. Meowee, a new furiend! A big 4 year old orange tabby named Lucy. However it was not to be. 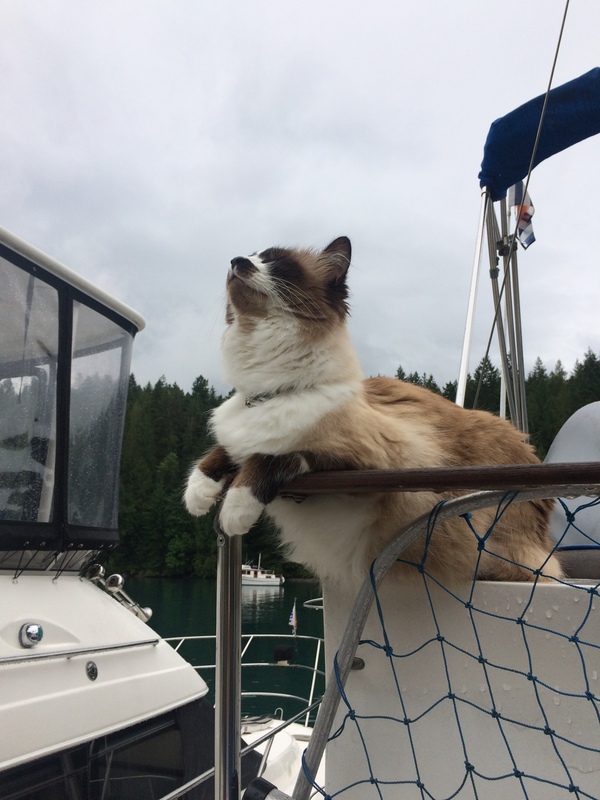 She was trained really early to never go out on deck, so she doesn’t. 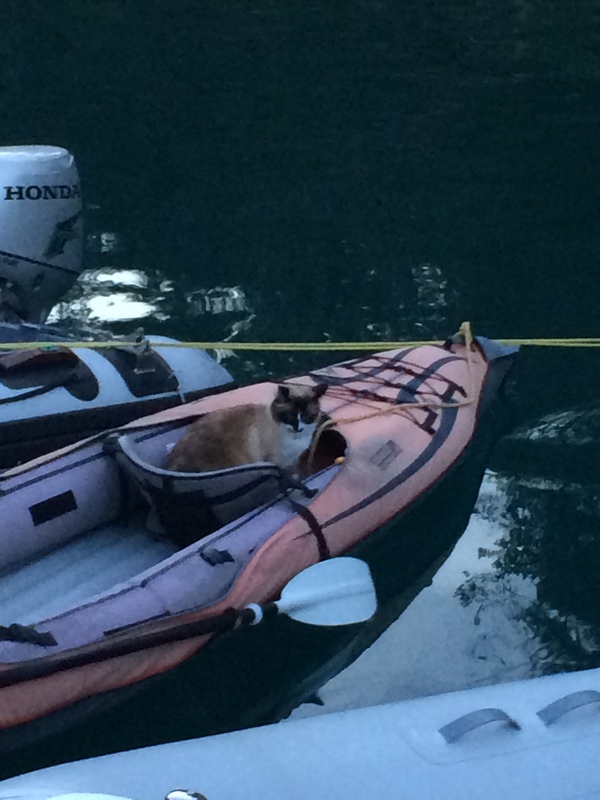 So I tried to go on her boat to see her, but got chased out by her humans. Apparently Lucy doesn’t play well with others and they were afraid she might hurt me. Once I snuck on board to try again and saw her through one of the port hole windows, and I guess they were right, she did look mean and wasn’t happy to see me. 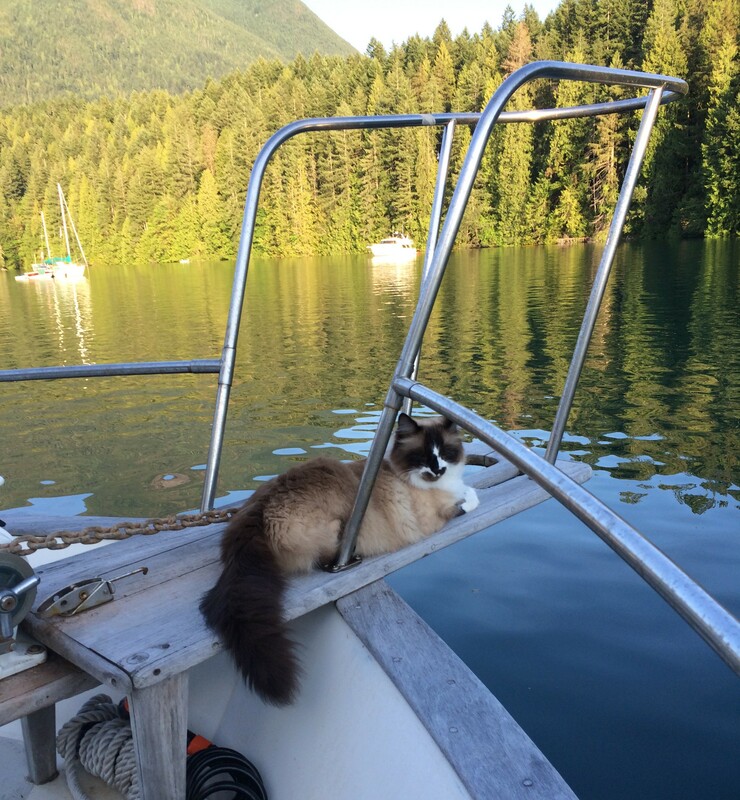 While the humans enjoy swimming and socializing at the stern, I enjoy some peaceful moments on the bow. We will be here for a couple of days. 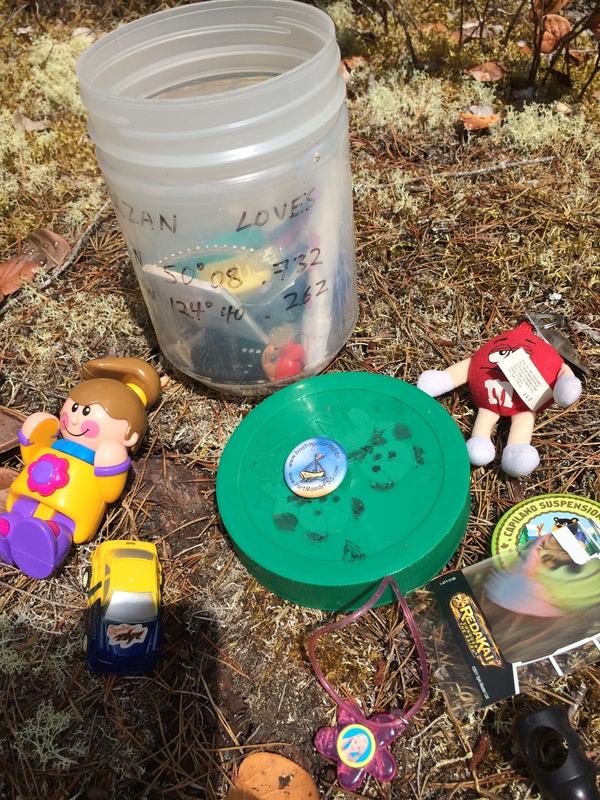 In the summer the water temperature is in the 70’s F. There are a couple of geocaches around, and lots of nooks and crannies to explore by kayak. And dare I say an abundance of fish and prawns? Hoping the sea gods fill our traps and hooks with a feast fit for a deserving Purrsea cat! Photography 101, Day 6: In today’s world, we’re more connected than ever. How will you capture our theme, connect, through your lens? There are many ways to interpret this theme: from a gadget to a handshake, from a bridge to a gathering among friends. What’s yours? 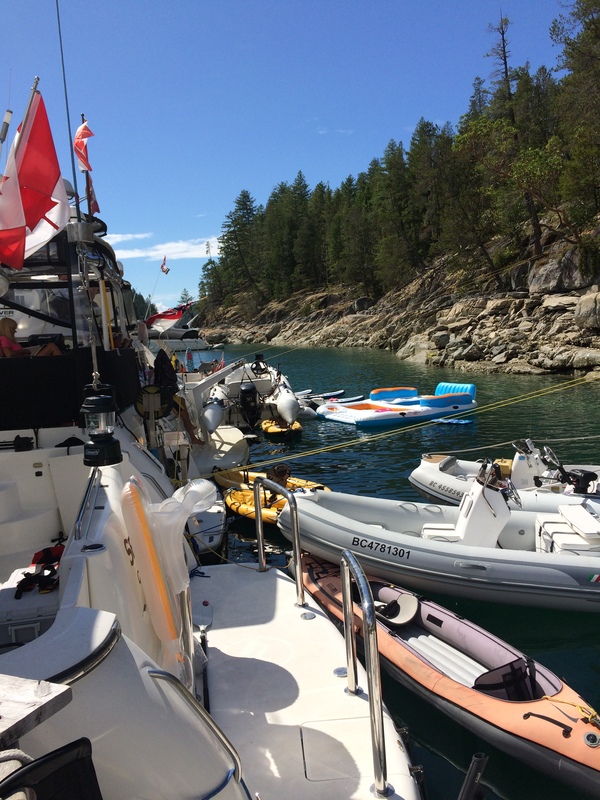 These are typical of our squadron’s raft-ups, where the boats are connected to each other, and our members connect with each other, and nature. 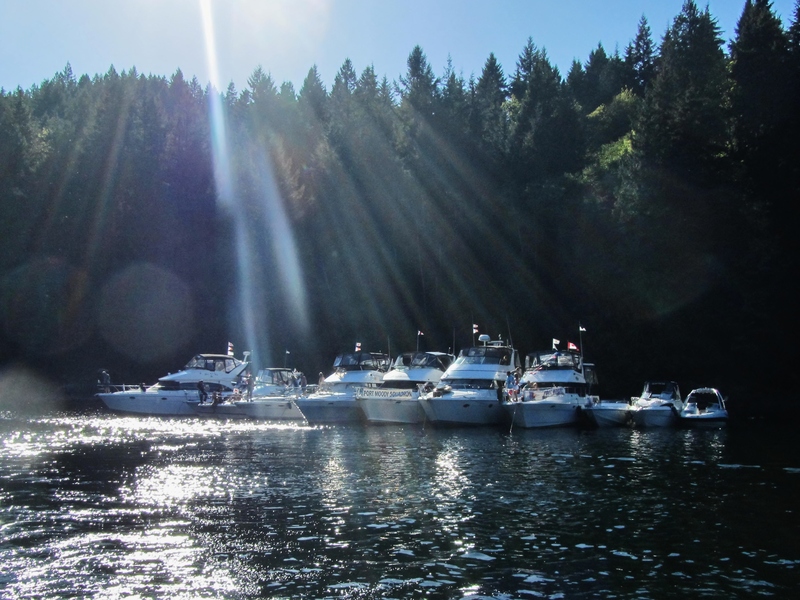 Other boaters have (jokingly) commented that we look like a small city, and all things considered, I guess perhaps we do especially at night with our underwater lights, music, BBQ smells, toys, and laughter. We are the most fun group on-the-water. 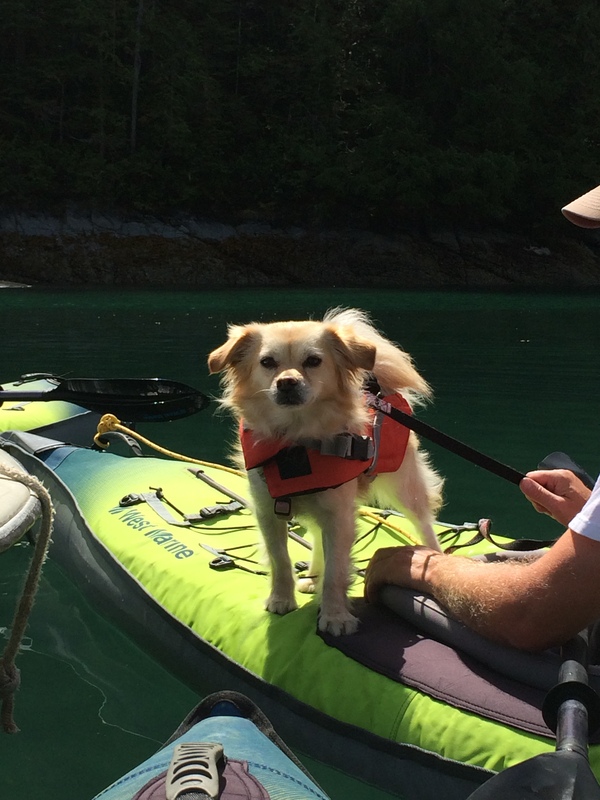 But make no mistake, we are very serious about safe boating. (Mom wants you to know that even though there are no sail boats in these pictures, we do have members with sail boats,… just not in these photos.) 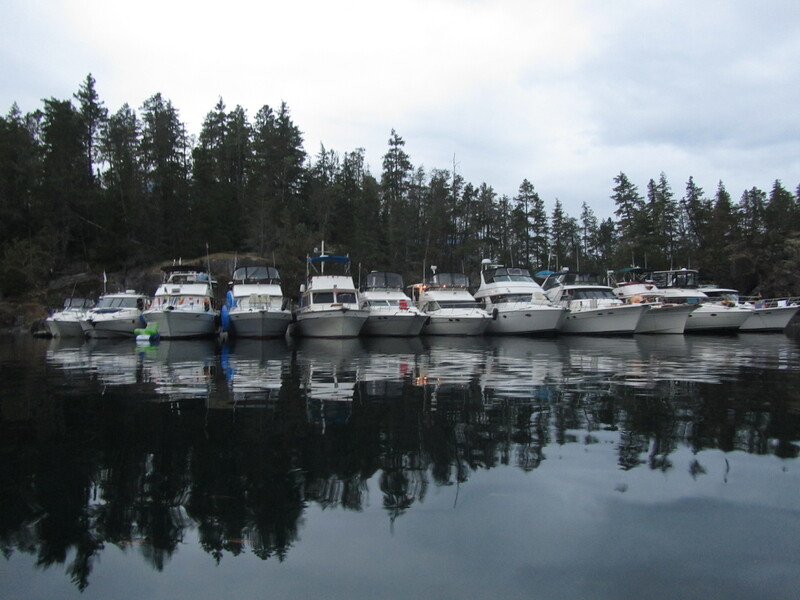 You can see our boat Minstrel, fifth boat from the left. My humans had a disagreement about these two photos. Although they agree both represents the theme, the dad human hates the sun rays effect in the 2nd photo and mom thinks it’s really cool. It’s not an applied effect, it’s natural. Mom noticed that when using those online photo editors, some of them have a “ray” effect that can be applied so others must like it too… or maybe it “depends” when it works. What do you think? The mom human played around with the exposure (brightness, contrast, shadows, and highlights) to try to make the photos “pop” a little more…at least that’s what she said she tried to do.